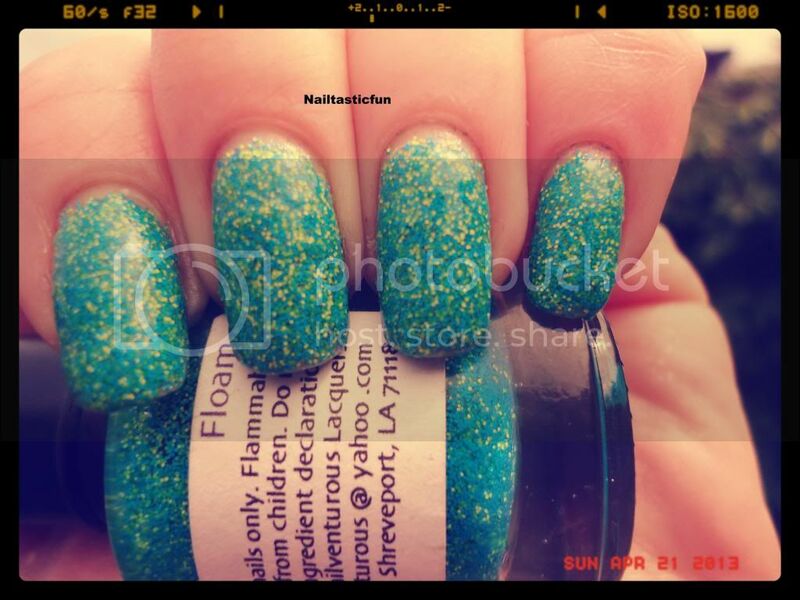 nailtastic fun: NVL "Floam" .... 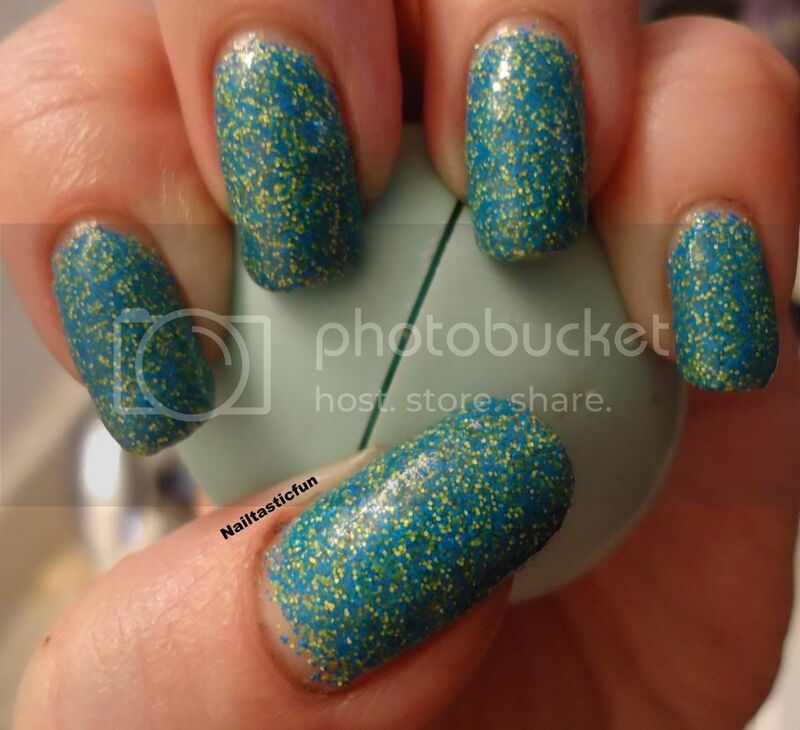 The polish that started it all! So, I have the polish that started it all. By that I mean, I hae always been a girl who loved her nail polish. 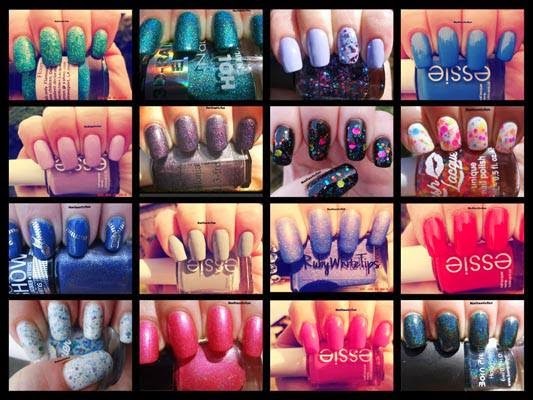 I remember when I was a young teen, I would sear so many loud colors on my nails (not tht much has changed). I remember I used to buy them from "Le Chateau" all the time. I hae always had a collection of polish but nothing excessive. 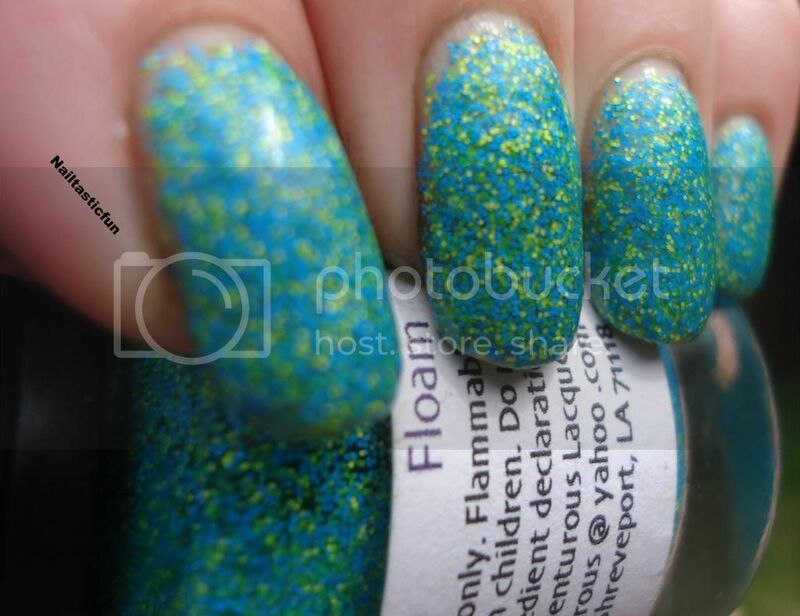 I am not too sure how but I learned about blogs devoted to nail polish and would just look at them and loved them but then one day I came across NVL "FLOAM" and I just fell in love. I did not know what the word "Lemming" meant at the time but it was a huge one! 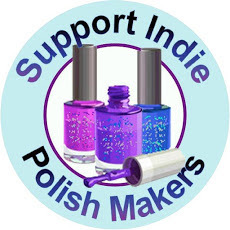 It was the first time I learned that there was "indie" polishes and what an obsession that started. 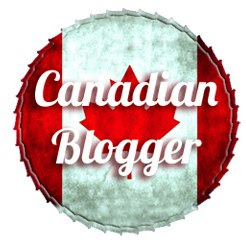 I also then learned about the whole online polish copmmunity and so glad that I did. I have made so many wonderful friends. Through this community is how I got my hands on Floam. 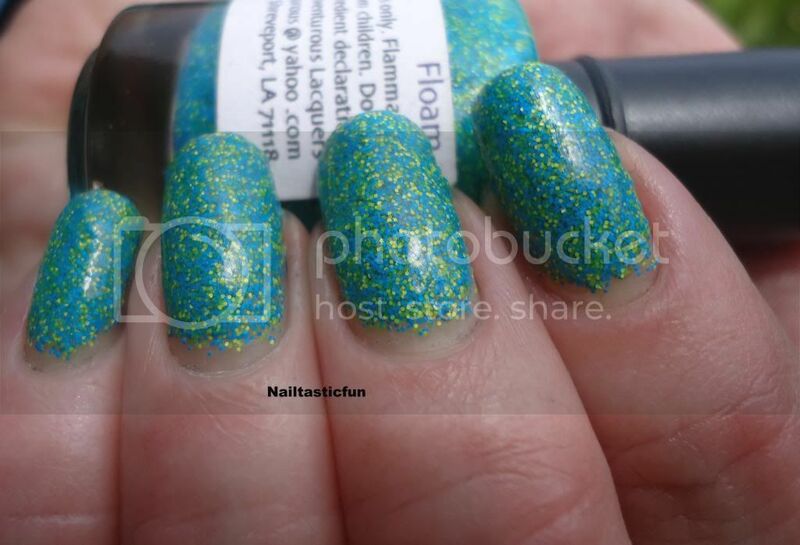 At the time, Amy of Vail Venturous Lacquers had closed shop and they wre not yet being sold on Ninja polish so getting your hands on a bottle was a little hard. 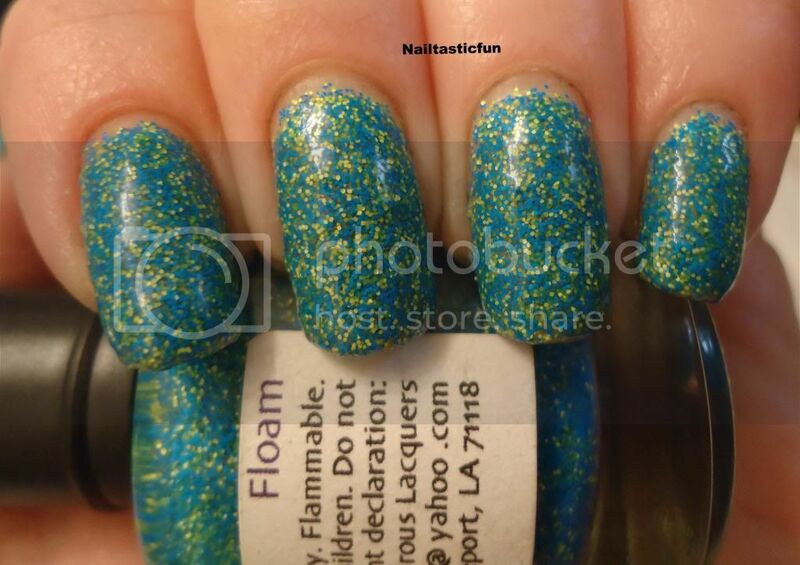 It was also the first time I got scammed buying polish:( A lesson learned the hard way. So, when I found a girl I knew well and trusted, I bought the bottle of her, for the second time, and was beyond thrilled when I got it. It certainly lived up to my expectations! It is just a gorgeous, stunning polish and so unique. 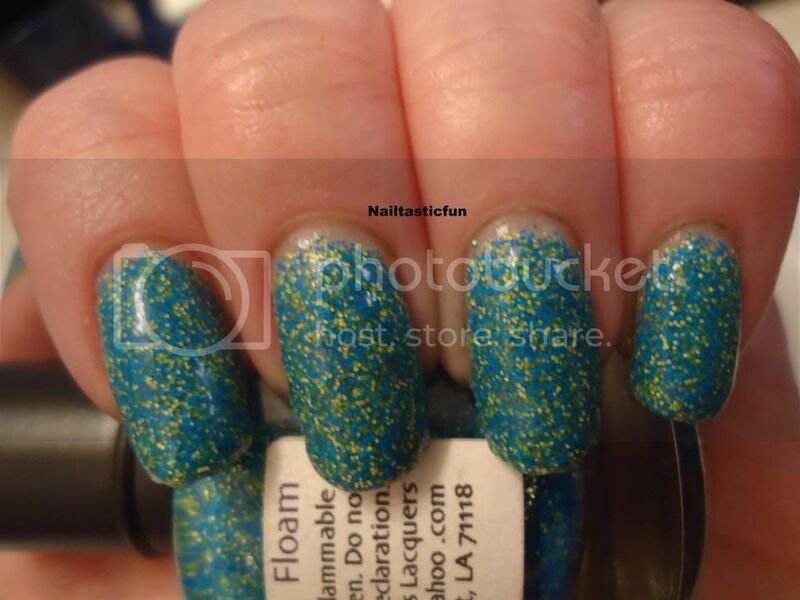 NVL Floam : It is a clear base with matte blue/teal and yellow/green glitter.IT is jam packed with teeny neon matte glitters!!! Also, a lot of people have asked me what "floam" means. 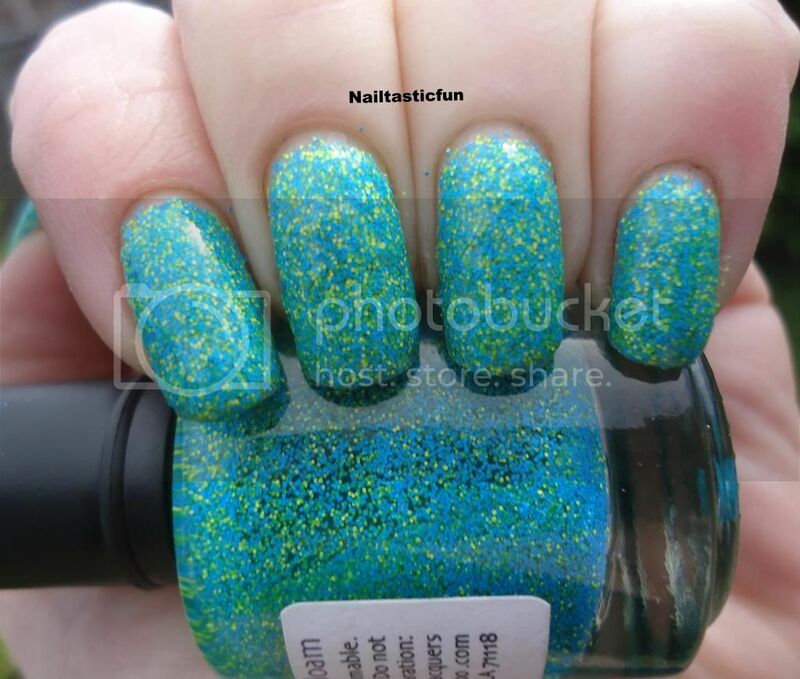 A lot thought that it was a description of the finish of the polish. But it is actually named after a toy. I never had this toy as a kid myself but apparently it is a Nickelodeon's kid toy. It's a malleable styrofoam mix that comes in different colors. 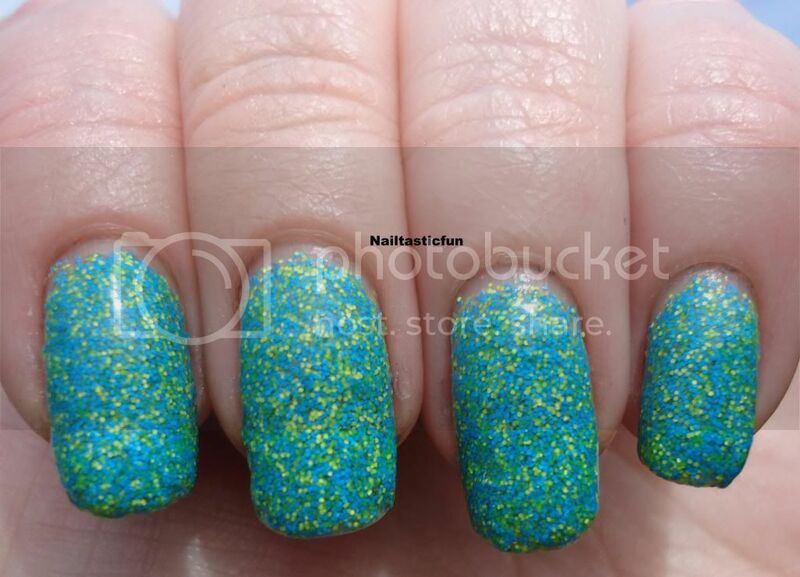 This polish is inspired by that toy. So, enought babbling, right?? Let's get on to pictures of this beauty. You really do need to see it to even have an idea of what it looks like! 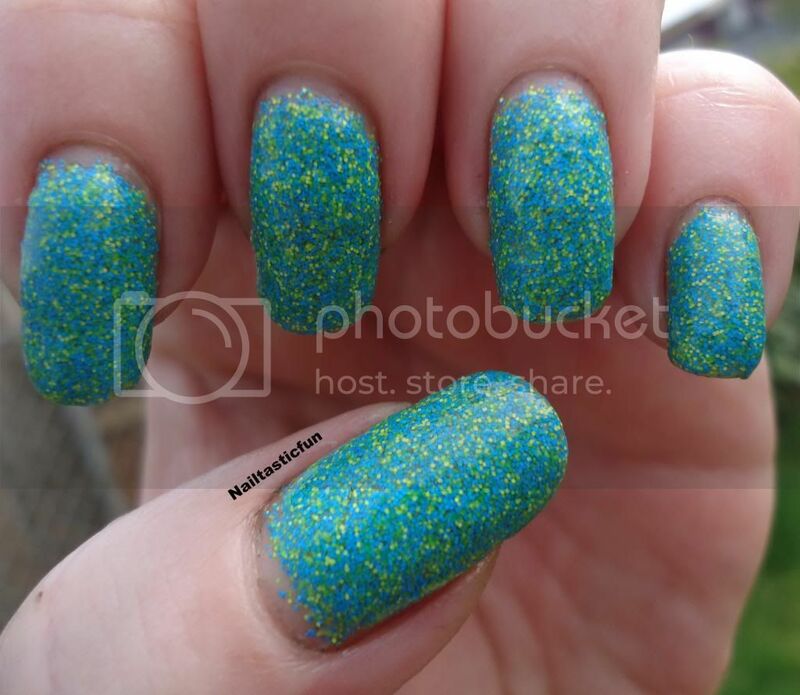 I just love all those teeny matte glitters! This is why I love just putting on a few coats rather than having an undie color. 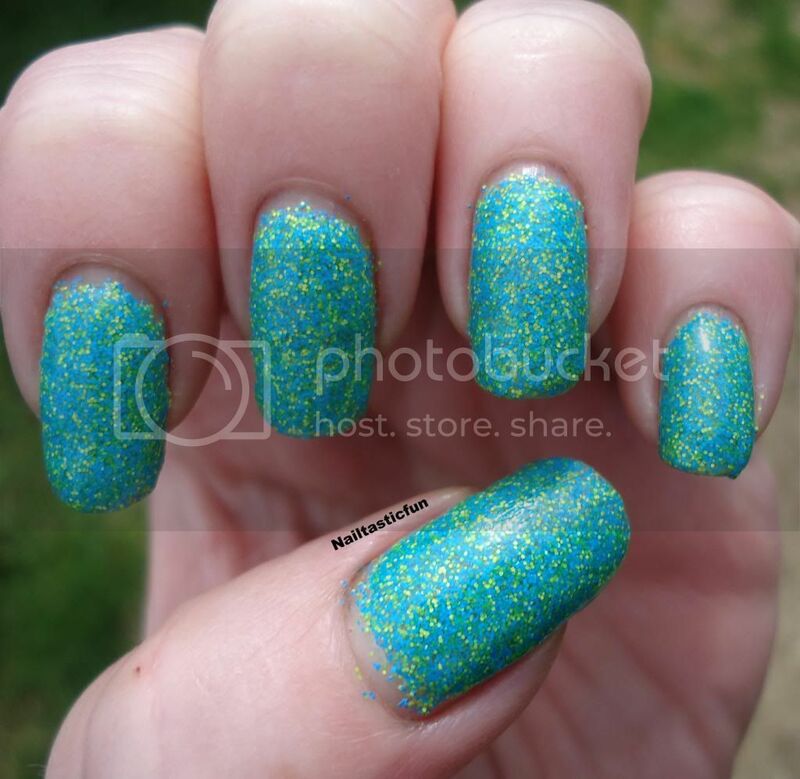 I love the look of all the glitters, just all over each other, kind of like a jelly mani. And indoors it looks a lot more teal blue and green. AAHH!! 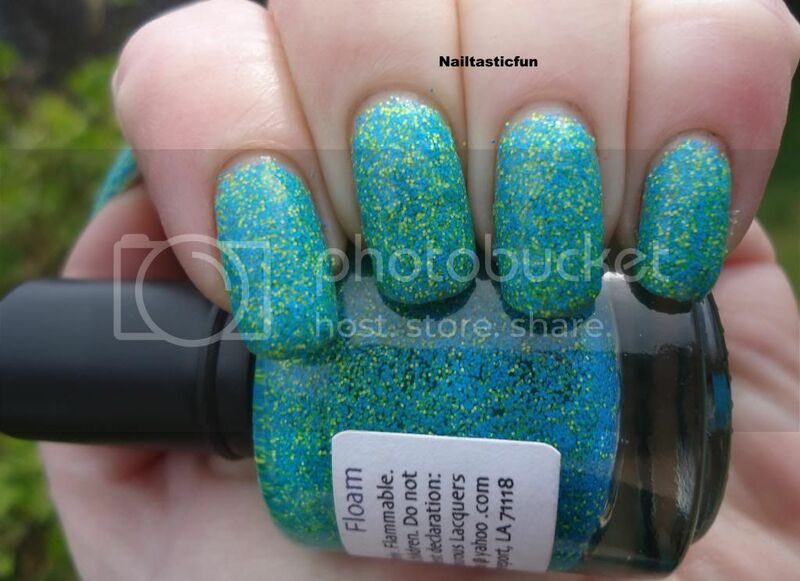 I just can't express how much I LOVE this polish! It's just so unique and gorgeous and... just WOW!! It is easy to see why I fell in love with indie polishes so fast! What do you guys think of this beauty? Do you love it as much as I do? 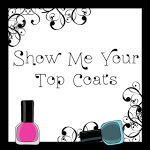 Hope you enjoyed seeing the polish that started it all for me and thanks for having a look. As always, love to hear from you guys.